If the second-generation iPod touch represents the future direction of much of the iPod line, iPod lovers are in for a very pleasing future. The iPod touch combines the best features of the iPod with some of the strongest aspects of the iPhone. It's a top-notch portable media and game device that’s perfect for anyone looking for advanced features but who doesn’t want to pay for an iPhone's monthly phone contract. The iPod touch has been accurately described as an iPhone without the phone. The iPod touch doesn’t have the phone and cellular Internet access or camera offered by the iPhone, but in most other ways the two devices are very similar. In fact, the iPod touch stacks up against the iPhone very well on size: it's lighter and thinner than the iPhone. In most other ways, the second-generation iPod touch is virtually identical to the iPhone 3G. The touchscreen, hardware, apps, and overall experience are very similar — that's to be expected given that they run the same operating system. Like the iPhone, the iPod touch packs a lot of functionality into a small device. It’s an iPod, video player, email and web device, a contact manager, and, thanks to the App Store, a mobile video-game whiz. The iPod touch offers robust hardware to support all these features. Opening and using applications is snappy and it's a rare moment when you feel like something is happening too slowly. In keeping with this punchy performance, setting up the iPod touch is quick. All it takes is a few short steps in iTunes and you’re syncing content. One place that the iPod touch outshines the iPhone is battery life. While the iPhone battery lasts a day or two in normal use, the touch lasts a good deal longer, partly thanks to the lack of a cellular data connection. Using the touch for more tasks will drain the battery differently, but that kind of battery life is impressive. The iPod is primarily thought of as an MP3 player and the player in the iPod touch doesn’t disappoint. It offers traditional features: music, podcasts, audiobook playback, CoverFlow. What makes this iPod different than others, and much more fun when browsing large collections, is its touchscreen. While the Clickwheel was a great invention, being able to control the iPod touch simply by touching its screen is compelling. In addition to music, the iPod touch plays video synced by the user or bought or rented from the iTunes Store with good quality. When combined with the device’s other features, there’s only a small chance that an iPod touch owner will ever be bored when out and about with their device. The iPod touch can browse the web with the same ease and features as the iPhone. Unlike the iPhone, the iPod touch can only connect to the web via Wi-Fi, so it’s not always online. Still, the Wi-Fi connection is plenty fast for most needs. The device also supports email and texting. The iPhone’s always-on Internet connection is handy, but it drains the battery and costs a pretty penny on the user’s monthly bills. For users who won’t always need to be online, the iPod touch’s Internet features are solid. The iPod touch is such a dramatic upgrade from earlier iPods because it runs the iPhone operating system. This means that it supports the tens of thousands of applications available through Apple’s App Store. This makes the already-good device a winner. With the wide variety of apps available, the possibilities for the touch are practically unlimited. From increasing its productivity apps to gaming, the App Store adds substantial benefits. Mobile gaming is the place that the iPod touch shines most. Combining the touchscreen, Wi-Fi connection, and multiple sensors, games offer all kinds of innovative interfaces, from controlling driving games by tilting the iPod touch like a steering wheel to tapping the screen to shoot. The mobile gaming features are so good that leading mobile video game companies like Nintendo worry that the touch will cut into their markets. 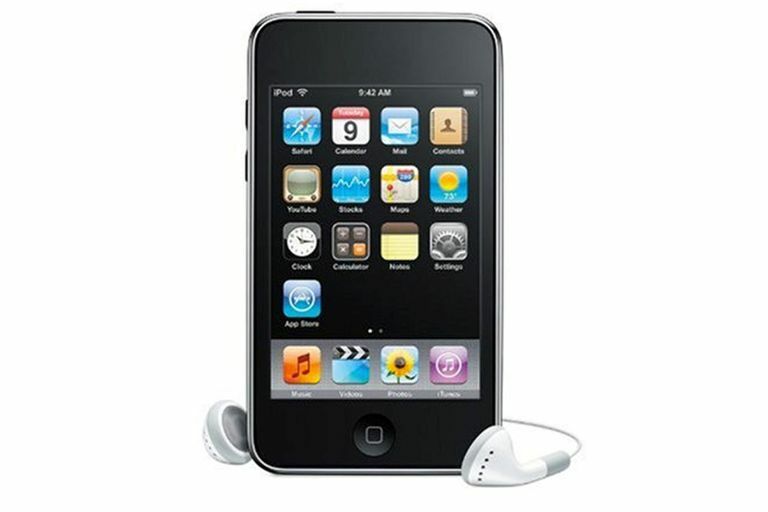 Unlike the iPhone, the iPod touch doesn’t have a built-in digital camera, so you can't upload snapshots to Flickr while on the move or movies to YouTube at the beach. Updates to the iPod Touch's operating system cost money, usually $10 to $15. The highest capacity iPod touch is 32 GB, which will be too small for many music libraries. Despite those drawbacks, the iPod touch is a very capable multipurpose media and Internet device. It also appears to be the direction iPods are heading. It’s Apple’s most buzzed-about iPod these days and the only one so far that can expand its functionality via the App Store. If this is the future of the iPod line, then iPod users are going to be very happy.